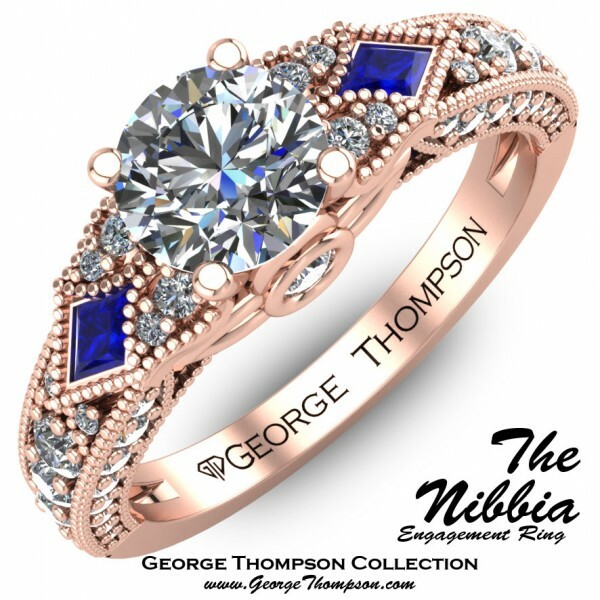 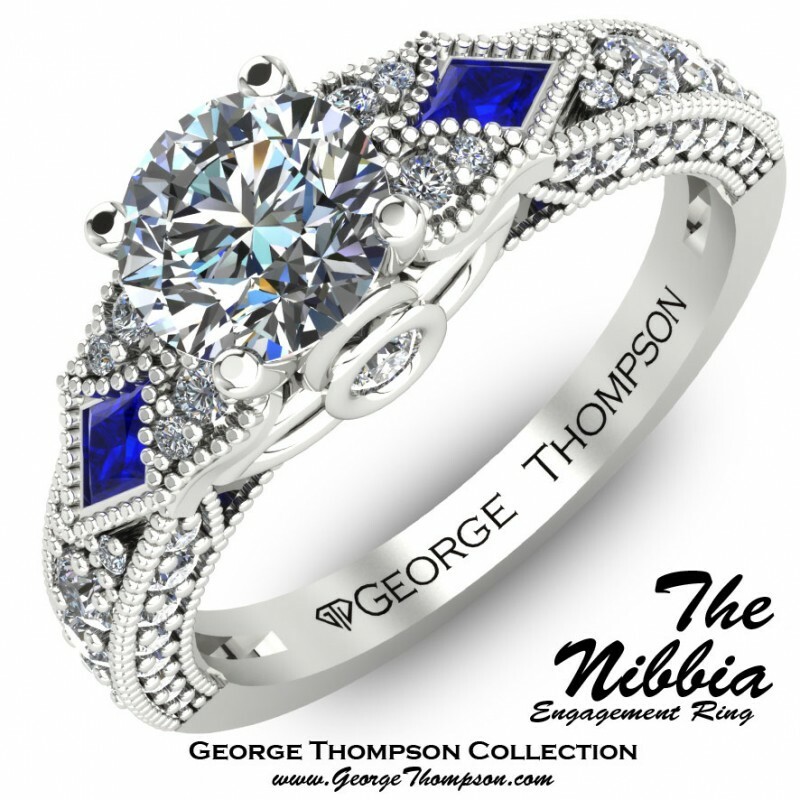 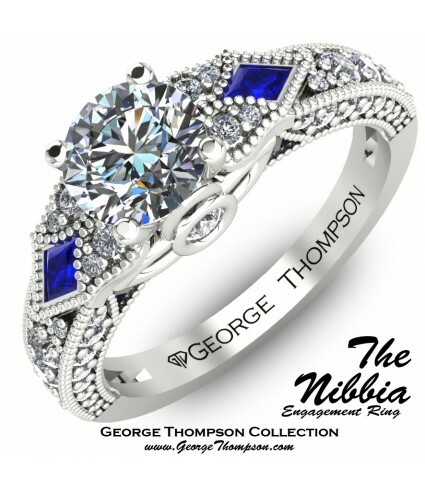 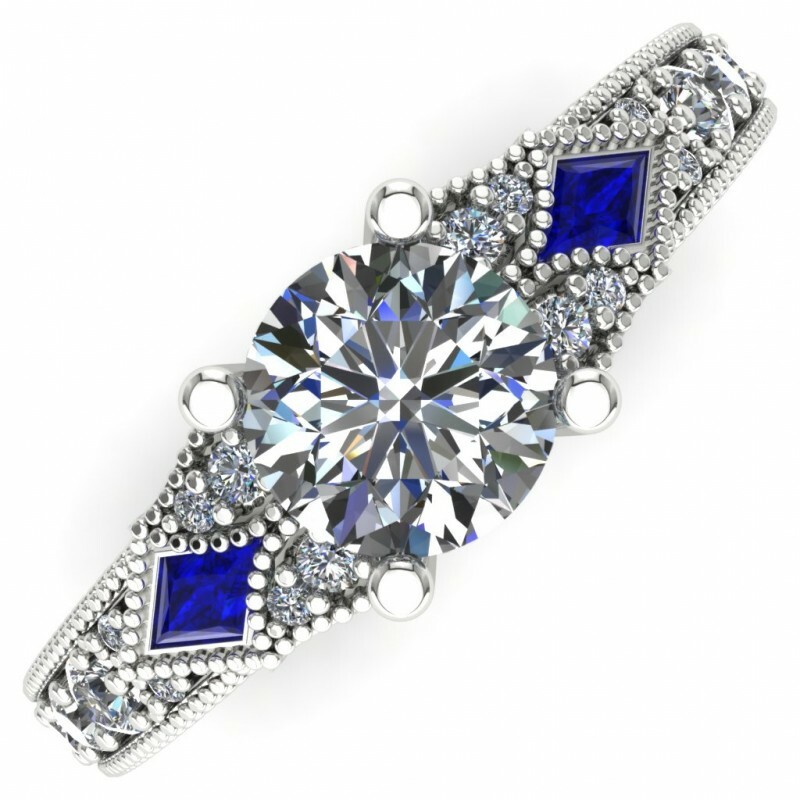 CLICK TO CONTACT US DIRECTLY ABOUT "The Nibbia"
"To love and be loved, that's everything"
The Nibbia White Gold, Sapphire, and Diamond Engagement Ring. 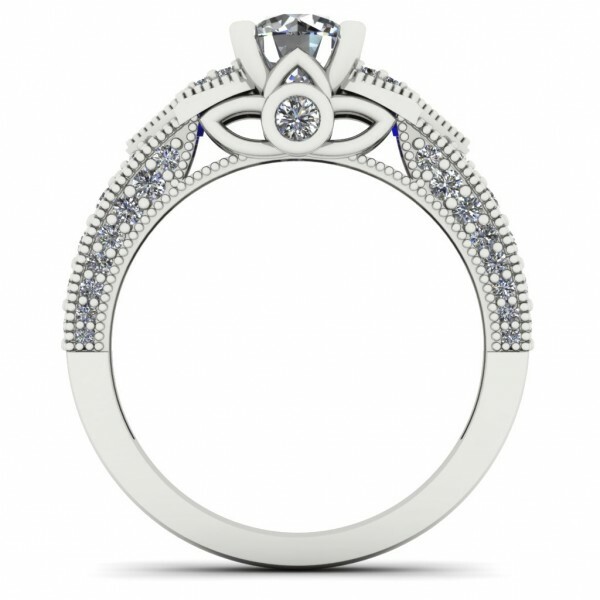 A Center Round Brilliant Diamond of Approximately 2/3ct and 56 Round Brilliant Accent diamonds of approximately 0.45cts and 2 Princess Cut Sapphires of approximately 0.20cts. The Wedding Set has a total diamond weight of approximately 1.10ct and a sapphire weight of 0.15cts and weighs 3.89g in 14kt White gold.